Ramsey Orta, 22, shot the video of Eric Garner, the 43-year-old Staten Island, N.Y., man choked to death by police. 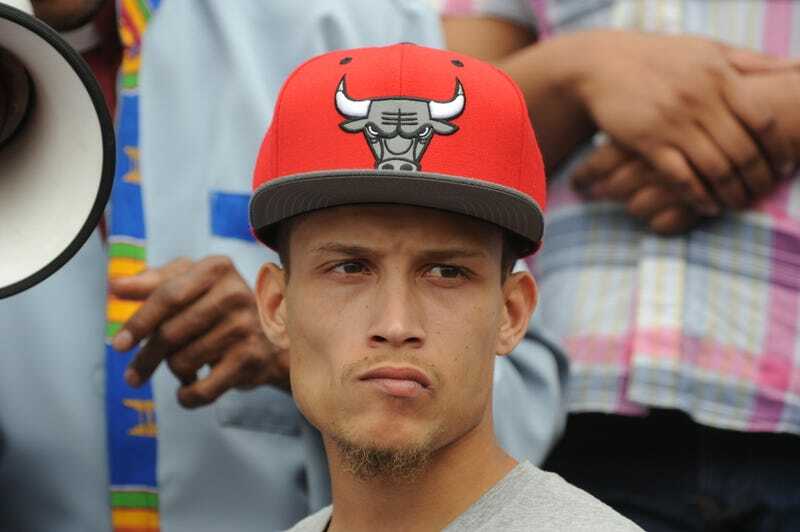 Ramsey Orta, the New York City man who filmed Eric Garner's death, recently accepted a plea deal on weapons and drug charges and is likely to spend the next four years in prison. Now, the New York Post reports, Orta is suing the city for $10 million. He says that he was arrested on trumped-up charges in retaliation for recording the controversial arrest that sparked protests. “Despite the murder of Eric Garner by the NYPD, Ramsey Orta, who filmed the incident, is the only person present at the incident who is going to prison because the NYPD engaged in smear tactics, in cooperation with the news media, and prepared a tactical plan to set him up for retaliatory arrests,” the lawsuit reads. Earlier this month, Orta pleaded guilty to charges of peddling heroin in 2015 and hiding a firearm in a woman's pants in 2014. He is expected to be sentenced to four years in prison in October, the Post notes. The spokesperson for the city's Law Department told the Post that it will review all the accusations. Read more at the New York Post.